When the folks at Milk and Love reached out to me for a collaboration, I was beyond excited! I'm a big fan of their products, especially considering the fact that I'll be wearing nursing clothes for a few more years at least. Heck, I'm still wearing the nursing clothes I bought 9 years ago when I was nursing Aqil! It is really difficult to find stylish, flattering, and non-mom-looking nursing clothes, so Milk and Love's product line is a lifesaver. 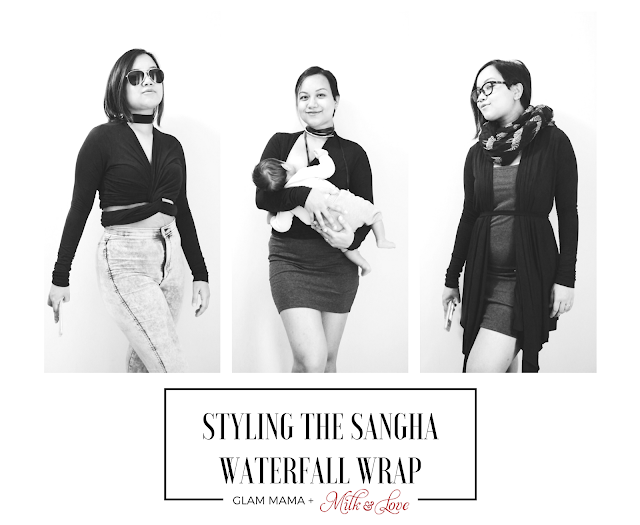 In this post, I'll share three ways to style their best-selling Sangha Waterfall Wrap. Here's why I love the iconic Waterfall Wrap: first of all, it's made of bamboo fabric, which means it feels absolutely gorgeous against my skin and is really flattering too. Secondly, it's a versatile piece that you can use whether or not you're nursing. Thirdly, it comes in very chic colors - including classic black - which means you don't have to sacrifice style for convenience! 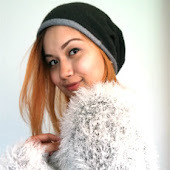 And fourth, it's a great transition piece for the unpredictable spring weather here in Melbourne. 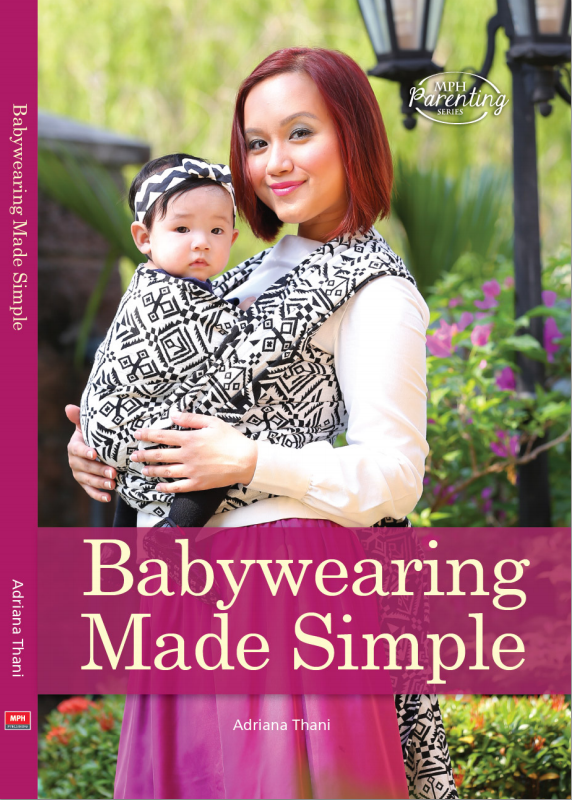 One of the main draws of this versatile piece of clothing is the fact that you can use it as a breastfeeding cover by buttoning one end of the wrap to a loop inside the wrap. However, I'm not a fan of covering my babies up while nursing (mainly because I like looking at my cutie pies when I'm nursing so I'd have to put my head in there as well, and also partly because I feel like it's less discreet because it's like you're holding up a sign saying "I'M BREASTFEEDING" which is totally fine but not my style), so I'm also sharing some ways you can use it as a convertible nursing top. I loooooove me a cute crop top and high-waist jeans combo. Not only is this look very current, but the high waist is great for tucking my belly pooch into, hahaha. Also, check out my awesome stretchmarks peeping out the top of that waistband. My body's carried three humans to term, man. I'm proud of those battle scars! All I did with the Waterfall Wrap was cross the ends in front of me and twist them once, and then I tied the ends in the back. Super easy and quick! To nurse baby, simply nurse through the top, or the "cutout" sections on either side. For this style, I simply wore a belt to give the Waterfall Wrap some shape. I've paired it with a simple low-cut body con dress, but you can just as easily pair it with a tank top and jeans for a more casual look. To nurse baby, just nurse as usual from the outfit you're wearing underneath the wrap. You can use the tails as a cover if you so choose. This is a classic way to use the Waterfall Wrap, and for good reason! It's super simple - just cross the tails in front of you and then tie them behind your waist. To nurse baby, just nurse from the top of the wrap. Hardly discreet, but if that's your style (it's mine, most days!) then go ahead with courage and conviction, mama! You can get the Sangha Waterfall Wrap from the Milk and Love website by clicking here. You could also win one of five Sangha Waterfall Wraps the generous folks at Milk and Love are giving away. Check out the Milk and Love Facebook page for more information.